Life evolves for me. The retired sportsperson – you’re always having to reinvent yourself. I have three children, I have 13-year-old twin boys, so I’m busy! But work wise I run a business with Steve Backley and we do a variety of things ranging from speaking at conferences for whole days, we have a property business and I have a fitness range of bikes and treadmills with Argos. So putting them together, it’s all around performance. No week is the same. It’s never straightforward. That’s good but I miss one thing – when I was an athlete you had absolute clarity of what you were doing and your goal. I knew the day, the time and the place of the Olympic final – every day was planned to move towards that point and that focus, with other people, was wonderful. I don’t have that in my life any more and I do miss it. So I have to find that a bit more with Steve and we work at it but it will never be the same as trying to win Olympic medals. We did sport because it was our passion. If you can find another passion then you’ll be okay. But it’s quite hard to do that. You’ve got to step back. Take the time to think about who you are, not who the athlete is. I never did that and I made a lot of mistakes. Find something else that you could get passionate about. If you can incorporate your sporting career in that, like I have done, then you’re very fortunate. 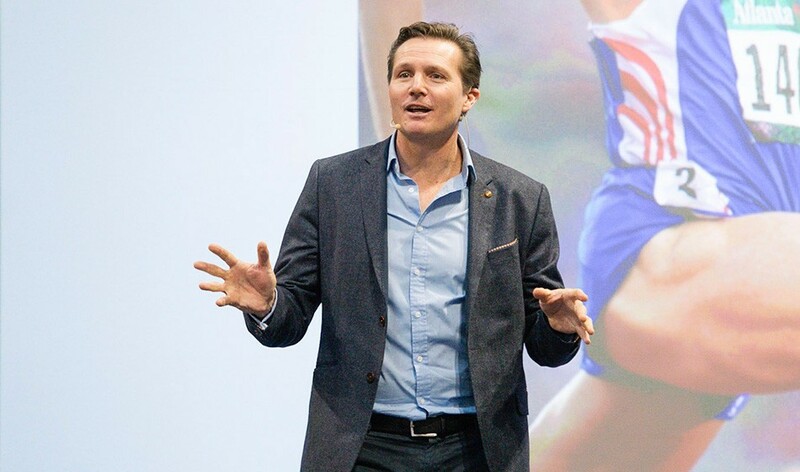 If you can find something else to get passionate about and apply all of the things you learnt as an athlete, which is hard work, training, team work, goal-setting – all the things we took for granted. Setting a goal is a natural thing for somebody who does sport but not everybody thinks like that. So take that and take it into an environment – whether you set up your own business or whether you go and work with other people – but don’t look back, don’t dwell on the past too much. That’s easy for me to say because my past is still who I am. People don’t come up to me because of what I am doing now, they come up to me because of what I did 30 years ago, so it will always be with me. But in my head, I am thinking forward as a person, as an athlete does. I’m not dwelling on my past. I’m lucky to have that past but I’m moving forward. I think you’ve got to keep moving forward.